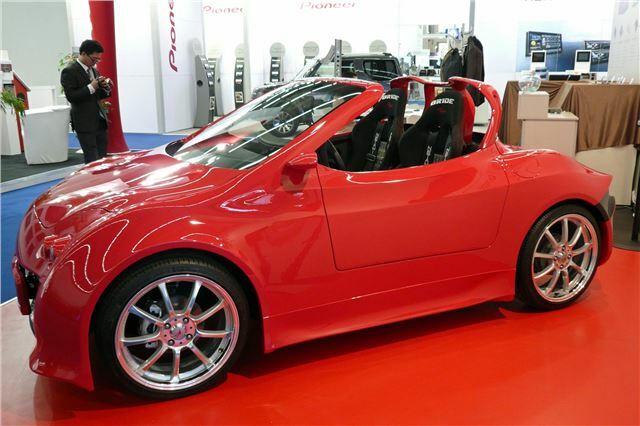 Tiny oddball carbon fibre electric roadster with top speed of 120mph, 0-60 in 4.3 seconds and range of up to 313miles. No roof. Odd looking. Might not pass crash tests. PowerPlus is a South Korean company that specialises in elec tric small delivery trucks. The surprise at the Frankfurt Motor Show 2015 was the YEBBUJANA, a tiny electric roadster with very impressive performance.